A well established firm, we offer numerous plumbing and heating services to domestic customers throughout the whole North West. 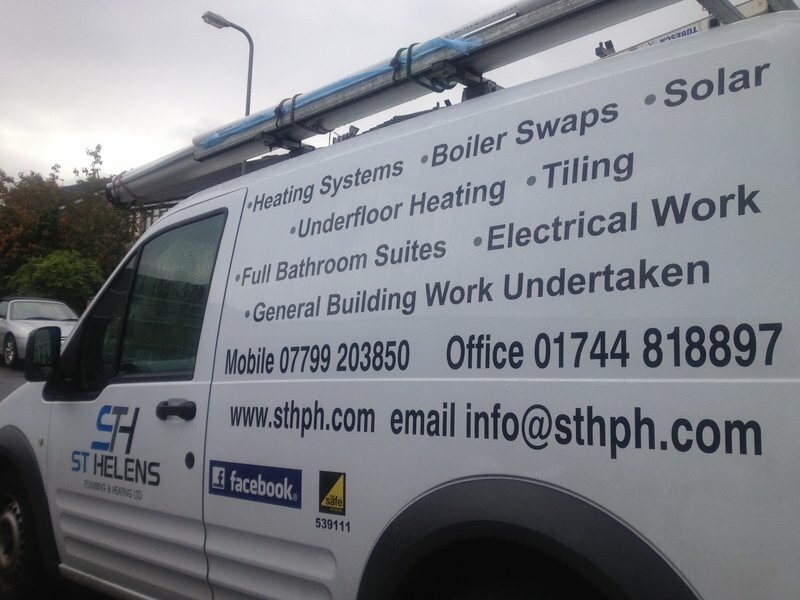 If your boiler has broken down or you need central heating installing Or a bathroom designing & installing. there is no job too big or small for our team of plumbers and engineers. A Gas safe registered company; our qualified plumbers and engineers work to Gas Safe standards providing a first class service. We take pride in all our work and are committed to delivering excellent customer service. I had a small job that needed a prompt response: a leaking joint and a stop tap fitting. Fortunately, I caught Chris at the right time and he attended within 15 minutes of taking my call. I found his details on this website. He assessed the job, carried out a repair, left the place neat and tidy and his charge was reasonable. It was a professional job. I would be happy to use him again. Chris carried out 2 jobs in our bathroom He installed a replacement power shower and fitted new basin taps. He was efficient, courteous and arrived when promised Good value for money and highly recommended. We have used Chris recently on 2 occasions. He fitted a replacement power shower and then fitted a pair of basin taps. Both jobs were done professionally and at a fair price. He kept to appointed times and I highly recommend Chris at ST.H Plumbing & Heating. Most impressed will certainly use again. They were prompt and did a great job. Came 8am worked all day with no break! Would highly recommend this company. Chris fitted a boiler and a sink and taps on 1st and 2nd of February. Absolutely first class job. Couldn't be happier. He arrived on time, was courteous, professional and explained all aspects of the job. Quality plumber. Phoned him, said he be there. Good job. Boiler service and radiator fitting. Highly recommend the lads, certainly would use again.